In an effort to control the damage being done to individuals and communities by payday lenders, community activists rallied outside payday lending storefronts in 10 states Tuesday to increase awareness of the lack of protection many states offer individuals against purveyors of short-term, high-interest loans. National People’s Action (NPA) helped coordinate the protests along with several other organizations. Organizations invested in helping affected people and communities are pushing the CFPB to take concrete steps against predatory lenders. The CFPB is expected to make its first decision to regulate the industry in the coming days. Participating organizations are against anything “that’s going to say maybe its OK or the first couple loans are OK. That can’t be on the table. Especially in those states where it has been effectively stamped out, a rule like that could open the door for them to get back into those states,” Murray said. If you’re interested in learning more about the issue view NPA’s video on payday loans and view photos from Tuesday’s events. Please sign the petition telling CFPB to offer protections against predatory lenders and email alerts on different steps being taken to combat this issue here. Payday Loans Criticized at Grassroots Rallies in U.S.
Grassroots activists calling for stronger government limits on the payday loan industry took their message on Tuesday directly to the source: They protested in front of payday loan businesses at events in at least 10 states. Their “ask” was straightforward: The federal government needs to protect consumers from an industry in which critics say offer high-interest, short-term loans that put millions of Americans in a debt trap. The Consumer Financial Protection Bureau (CFPB) is considering new limits on the industry and collecting comments from consumers. National People’s Action (NPA), which works on economic and social justice issues, helped organize the rallies. “It’s time we started treating predatory payday lenders like the danger to our communities they truly are,” Liz Ryan Murray, NPA policy director, said in a statement. The CFPB is expected to issue a proposal about the payday lending industry by the end of January. A final rule is expected later in 2015. The federal agency cannot regulate interest rates. But it could limit how long lenders can keep consumers in debt. NPA said that 35 states permit some type of payday lending. “While some states and cities have worked to pass local laws capping interest rates, federal laws still largely allow payday lenders to prey on vulnerable communities and benefit from borrowers’ financial hardship,” the grassroots group said in a statement. NPA estimates that payday lenders earn $10 billion in annual fees by keeping about 12 million consumers in what they say is perpetual debt. The annual interest rates for some loans can top 400 percent and there have been reports of lenders using pressure tactics against consumers so that they will continue to borrow more money, according to NPA. Tuesday rallies were held in Colorado, Iowa, Missouri, Kansas, Maine, Minnesota, Illinois, Nevada, Idaho and Michigan. National People’s Action is a network of grassroots organizations that works on economic and racial justice issues. The title lenders are seizing upon a broad retrenchment among banks, which have become wary of making loans to borrowers on the fringe of the financial system. Regulations passed after the financial crisis have made it much more expensive for banks to make loans to all but the safest borrowers. The title lenders are also benefiting as state authorities restrict payday loans, effectively pushing payday lenders out of many states. While title loans share many of the same features — in some cases carrying rates that eclipse those on payday loans — they have so far escaped a similar crackdown. In 21 states, car title lending is expressly permitted, with title lenders charging interest of up to 300 percent a year. In most other states, lenders can make loans with cars as collateral, but at lower interest rates. Seeing the regulatory landscape shift, some of the country’s largest payday lenders are switching gears. When Arizona effectively outlawed payday loans, ACE Cash Express registered its payday loan storefronts in the state as car title lenders, state records show. Lenders made similar changes in Virginia, where lawmakers outlawed payday lending in 2010. But title lenders were untouched by that law and have expanded throughout the state, drawing business from Maryland. The number of stores offering title loans in Virginia increased by 24 percent from 2012 to 2013, according to state records. Last year, the lenders made 177,775 loans, up roughly 612 percent from 2010, when the state banned payday lending. In Tennessee, the number of title lending stores increased by about 22 percent from 2011 to 2013, reaching 1,017. That is a small fraction of the industry’s overall size, state regulators say, because only a handful of states keep statistics. Legal aid offices in Arizona, California, Georgia, Missouri, Texas and Virginia report that they have experienced an influx of clients who have run into trouble with the loans. “The demand is there for people who are desperate for money,” said Jay Speer, the executive director of the Virginia Poverty Law Center. When Tiffany Capone suggested that her fiancé, Michael, take out a $10,000 TitleMax loan with a 119 percent interest rate, she figured it would be a temporary fix to pay the bills. But this summer, after Michael fell behind on the loan payments, the couple’s three-year-old Hyundai was repossessed. “It had my child’s car seat in the back,” said Ms. Capone, of Olney, Md. With their car gone, the couple had to sell most of their furniture and other belongings to a pawnshop so they could afford to pay for taxis to ferry Michael, a diabetic with a heart condition, to his frequent doctors’ appointments. The hardships caused by title loans are being cited as one of the big challenges facing poor and minority communities. Johanna Pimentel said she and both of her brothers had taken out multiple title loans. “They are everywhere, like liquor stores,” she said. Ms. Pimentel, 32, had moved her family out of Ferguson, Mo., to a higher-priced suburb of St. Louis that promised better schools. But after a divorce, her former husband moved out, and she had trouble paying her rent. Ms. Pimentel took out a $3,461 title loan using her 2002 Suburban as collateral. After falling behind, she woke up one morning last March to find that the car had been repossessed. Without it, she could not continue to run her day care business. Pointing to such experiences, lawmakers in some states — regulating the industry largely falls to states — have called for stricter limits on title loans or outright bans. In Virginia, lawmakers passed a bill in 2010 that institutes some restrictions on the practice, including preventing lenders from trying to collect money from customers once a car has been repossessed. That same year, Montana voters overwhelmingly backed a ballot initiative that capped rates on title loans at 36 percent. But for every state where there has been a crackdown, there are more where the industry has mobilized to beat back regulations. “This is nothing but government-authorized loan sharking,” said Scott A. Surovell, a Virginia lawmaker who has proposed bills that would further rein in title lenders. Even when there are restrictions, some lenders find creative ways to continue business as usual. In California, where the interest rates and fees that lenders can charge on loans for $2,500 or less are restricted, some lenders extend loans for just over that amount. Sometimes the workarounds are more blatant. The City of Austin allows title lenders to extend loans only for three months. But that did not stop Mr. Chicosky, the veteran who borrowed $4,000 for car repairs, from getting a loan for 24 months. Last year, after applying for a loan at a Cash America store in Austin, Mr. Chicosky said, a store employee told him that he would have to fill out the paperwork and pick up his check in a nearby town. Mr. Chicosky’s lawyer, Amy Clark Kleinpeter, said the location switch appeared to be a way to get around the rules in Austin. The lender offered a different explanation to Mr. Chicosky. “They told me that they didn’t have a printer at the Austin location that was big enough to print my check,” he said. The U.S. authorities decided to step once again against predatory online payday lending schemes. While payday loaning businesses are notorious for their fish-like abilities to find loopholes in state and federal financial legislation, this time they took money from people’s accounts for loans they did not take. U.S. Consumer Financial Protection Bureau officials say that Hydra Group (really…Hydra?) and other companies have engaged in illegal financial operations. The defendants allegedly trapped consumers into payday loans they did not ask for. “Rarely is a company so appropriately named. Like the multiheaded serpent in Greek mythology, the Hydra Group is actually a conglomeration of about 20 businesses with various names,” said CFPB Director Richard Cordray. The CFFPB won a file federal court ruling that freezes the assets of payday company owners. So what exactly did they do? We know too well that online payday loans are predatory by nature, as they apply huge interest rates. But Hydra Group used private user data bought from lead generators. Anytime you go online and shop for a payday loan, you have to fill in your name, Social Security number, as well as other data. The data is stored and companies such as Hydra Group can buy it and use it to deposit unauthorized loans into your bank account. Hydra Group deposited sums of $200-300 in people’s accounts and started withdrawing $60 to $90 finance charges every two weeks. Moreover, they did not even reduce the amount of the initial loan. So this is how Hydra Group managed to make $115.4 million out of $97.3 million unwanted loans. Over 1.000 complaints have been made against the group’s companies running in several states like Pennsylvania, Idaho and New Hampshire. The problems caused by payday loans have been tackled by consumer advocates and public institutions. This type of loans should be avoided by all means. Unfortunately, low-income households are the most affected by this predatory industry. Right now, the CFPB is after Hydra Group, but they plan to analyze the lead-generating companies’ activities and their role in the financial fraud. Earlier this month, another payday loan company has been accused of the same type of financial fraud against households from Missouri. During an 11 months period, the company placed $28 million worth of loans in bank accounts, after which they charged fees. In 2013 they ended up extracting almost $47 million from bank accounts. Missouri Gov. Jay Nixon has vetoed a bill that would have re-written the state’s payday loan laws. He called the newly proposed limits an industry-backed “sham” that fell short of “true reform” and said it was better to leave the current law in place. There are still hopes of pushing for stricter regulation in the future. State law currently limits payday loan interest and fees at 75 percent for the life of the loan. For a typical two-week loan, the full amount would equal an annual percentage rate (APR) of 1,950 percent. The proposed legislation would have capped the interest rate at 35 percent for the term of the loan, or an estimated APR of 912 percent for a two-week loan. Both opponents and supporters of the bill, however, acknowledged that the caps are largely meaningless, since payday lenders typically do not charge that much. A typical payday loan in Missouri has an APR of 455 percent, said Molly Fleming, policy director at Communities Creating Opportunity. Aside from the interest-rate cap, the legislation would have rolled back a law that limits payday loans to six rollovers. Loan renewals would have been banned under the new proposal, but extended payment plans would have been allowed. The industry group United Payday Lenders of Missouri remained neutral on the measure but supported other provisions that included an increase in the businesses’ annual licensing fees. KANSAS CITY, Mo. – Missouri Governor Jay Nixon vetoed Senate Bill 694 on Thursday, saying it was false hope for true reform of payday loan company policies. The bill would, in some cases, cap the interest rate at 35 percent for borrowers. However, on short-term loans the interest rate would skyrocket. On a 14-day loan, the interest rate would be allowed to increase to more than 900 percent if it’s stretched out over one year. The bill would also allow borrowers to get multiple loans from multiple companies at once. For those reasons, Gov. Nixon called the bill a sham effort and said it won’t protect Missourians from the downward spiral into debt. Metro man Elliott Clark, who lost his home after taking out payday loans, applauds the governor’s decision, while the bill sponsor says this bill was at least a step in the right direction. Smoking ribs and getting ready for a family reunion, Clark is totally in his element. For him, taking care of his family is priority number one. “My pride would not let me let my family do without. Nobody in their right mind does,” he said. Clark has children he sent to college, he’s a Marine, a Vietnam-era veteran, and he was happy with his simple but good life. “We were doing okay until my wife fell and broke her ankle in three places,” he explained. Thirty-five thousand dollars in medical bills forced him into seeking about $2,500 in payday loans. “Over the course of five years, that’s how long I had these loans, I wound up paying $30,000 in interest,” he said. Clark spoke out against current payday loan policies, and he supports Gov. Nixon’s veto of Senate Bill 694. The bill would prohibit payday lenders from giving multiple loans to the same person, unless that person went to several different companies. The governor said that would only prolong the cycle of debt. Senator Mike Cunningham, a Republican from the Springfield area, sponsored the bill. He says it capped most interest rates at 35 percent, as reform advocates wanted. Senator Cunningham says the bill also would have allowed borrowers to have an extended payment plan for their first loan from a company, which he believes would have helped. But Clark says the bill wasn’t strong enough to protect people like him, just trying to do the best he can. “Very few things harden the heart more than usury in all its forms.”A Baptist pastor in North Carolina wrote those words in the October 31, 1840 edition of the Biblical Recorder. Citing a slew of Bible verses from Exodus to Leviticus to Ezekiel, the pastor warned of the “ruinous consequences and the distress brought on a community by usurious and similar practices.”Fast-forward nearly 175 years later and you’ll find Baptists who remain deeply concerned about the “ruinous consequences” of usury or payday lending on their communities. In April, a group of Louisiana faith leaders that included Baptists backed legislation to cap fees on payday loans and modestly limit the number of these short-term, high interest-rate loans a borrower can take out each year. The legislation — which failed after facing significant opposition from the payday industry — would have limited borrowers to 10 payday loans per year. The bill, which is waiting for the signature of Governor Jay Nixon, forbids loan renewals and those unable to repay their two-week loan in full can demand a repayment plan to allow borrowers a two-to-four month period to pay off the loan without accruing additional interest. In both Missouri and Louisiana, legislators rejected proposals for meaningful reform and emphasized their desire not to kill the payday industry. “I don’t want to put them out of business,” said Missouri Senator Mike Cunningham, a sponsor of the “reform” bill. Study after study has shown the “ruinous consequences” of payday lending on the working class and in low-income communities across the country. 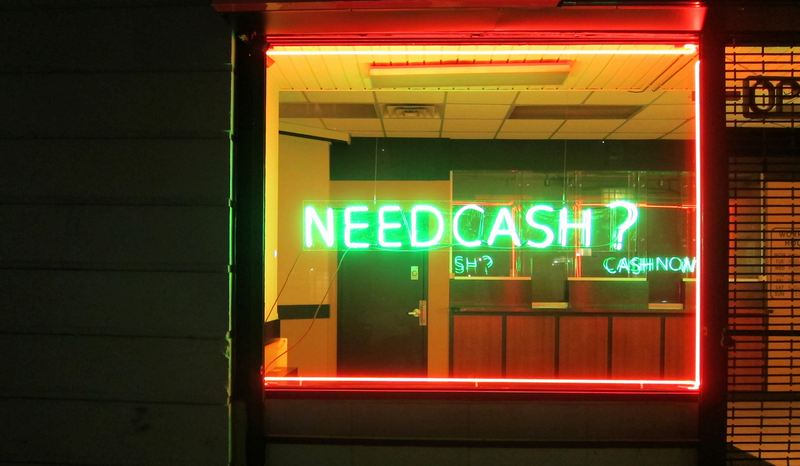 The average annual rate of a payday loan in Missouri is more than 400 percent and elected officials like Sen. Cunningham are worried about putting EZ Cash or Ace Cash Express storefronts out of business? If your business needs to exploit others in order to survive, something is terribly wrong. It wasn’t many years ago that lending practices like those of the payday industry were criminal. In fact, for more than 300 years in America, usury was considered to be a serious crime and law enforcement sought to apprehend and incarcerate usurious lenders. For centuries, usury was judged by poets and philosophers and prophets and priests as an especially persistent and pernicious evil. During the U.S. founding era, interest rates on loans in all 13 colonies were capped between 5 and 8 percent. These caps were rooted in historic Christian understandings of acceptable lending practices. Protestant reformers such as Martin Luther held that interest rates of 5 to 6 percent were moral with 8 percent as a permissible rate in some circumstances. In the early 20th century, states began to adjust their usury laws to allow for higher rates. The industrial age brought with it more stable household incomes and created a demand for greater access to credit through moderately-priced consumer loans with low double-digit interest rates. Following World War II, all 50 states had interest rate caps on small loans ranging from 24 to 42 percent per year. Thirty-six percent was the median limit. In 1978, the U.S. Supreme Court dealt a devastating blow to usury restrictions with a ruling that allowed national banks in deregulated states to export its high interest rates to states with strict usury laws. Deregulations and lots of legal loopholes set the stage for the emergence of the payday lending industry in the late 1990s. During the early 1990s, payday lenders comprised only a tiny fraction of the financial services industry with just several hundred locations. A decade later, there were more than 22,000 payday storefronts in the U.S. The payday loan industry is now a multi-billion dollar enterprise with more than 12 million borrowers spending roughly $7.4 billion annually at thousands of storefronts. In his recent column “The lie of payday loans,” Steve Wells, pastor of South Main Baptist Church in Houston, Texas, told a tragic story about a man from Waco, Texas who found himself penny-less and possession-less thanks to a payday lender. Wells asked readers to consider why the problem of predatory lending is a problem that should compel Christians and churches to take action. Payday lending will continue to bring ruinous consequences and distress to our communities. Let’s speak up, educate others and advocate for reform. Now is the time for Christians and churches to take action. Traditionally about a quarter of US home sales, cash purchases have soared to about 40 per cent nationwide. A growing number of home buyers in the US are bringing an unusual tactic to the negotiating table: an all-cash offer. Cash purchases traditionally make up about a quarter of home sales, but they’ve soared to about 40 per cent nationwide, according to the research firm CoreLogic. And more of these buyers are individuals, not the institutional investors who plunged into the housing market when it collapsed, then pulled back when home prices rose. Wealthy people, foreigners and retirees are transforming markets across the United States with these all-cash deals, helping make up for an alarming shortage of first-time buyers who are struggling to save for a down payment or qualify for a loan, a cause of grave concern about the long-term health of the market and its prospects for a true recovery. “It’s the investor and the wealthy individual that’s keeping the market alive,” said Mark Zandi, chief economist at Moody’s Analytics. Tatyana Baytler, a real estate agent at Lagert Real Estate in Rockville, Maryland, said foreign buyers tend to offer cash in part because they’re wealthy, but also because they have not lived in the country and built the credit history needed to secure a mortgage. John Denninger, a business owner in New York, didn’t want to plunk down that kind of cash when he bought a vacation home not far from West Palm Beach, Florida. But he didn’t want a mortgage, either, now that he has paid off the loan on his primary residence. The potential yield from rents is what attracted investors to the housing sector once the market hit bottom in late 2011. In areas where home prices plunged, investors began snapping up foreclosures and other deeply discounted properties, betting they could rent them for a tidy profit. The buying frenzy helped clear the excess supply of homes on the market and boost prices. It also frustrated first-time buyers who could not compete because their offers included financing contingencies, appraisals and inspections. That still happens, said Richard Bridges, a real estate agent at ERA Blue Diamond Realty in Woodbridge, Virginia. Two weeks ago, Bridges listed a condominium in Woodbridge for a client. Four offers immediately rolled in, all at or above the $160,000 asking price. One was from an investor. “My client took the cash offer, even though it was lower than the others, to ensure it would close quickly and without problems,” Bridges said. But with prices on the rise and the foreclosure supply shrinking, investors are starting to retrench. Rental income does not necessarily go up when housing values rise. The largest institutional investors, some of whom bid on hundreds of homes a day, purchased about $400 million worth of homes a month in the first three months of the year, down from $520 million in the same period a year ago, according to a Morgan Stanley report. Blackstone Group, which has invested $8.6 billion to buy 45,000 homes in the past two years, scaled back its purchases by about 70 per cent since last summer, the company said in a statement. It now buys $30 million to $40 million worth of homes a week. Yun says seniors who have a lot of equity in their homes are probably helping sustain the all-cash market. CoreLogic data show that the share of cash sales remains high among non-distressed properties, which are not popular among investors. Fran Kormann, a real estate agent who specialises in selling homes at the Potomac Green senior community in Ashburn, Virginia, said every transaction she has handled recently has been a cash deal, perhaps because she is working with an older demographic than usual, buyers who are 65 or older and have accumulated more savings than clients in their 50s. But all-cash deals do not necessarily mean all cash, even if they’re registered that way in the public record. Buyers sometimes tap into alternate forms of financing that count as cash, which is what Lori Pearce did to purchase a condominium in downtown Seattle. Pearce, a retiree, already owns a more spacious condo nearby that she’s selling. She said she’s borrowing against her stock holdings to finance the purchase of the new condo, and she will pay off the loan with the proceeds of the sale from the old unit. Since the start-up she joined went public in the mid-1990s, Pearce said she has never taken out a mortgage to finance a home, including a place in Hawaii where she spends part of the year. Her real estate agent, Kirk Russell of John L. Scott Real Estate, said it’s rare that buyers have all the cash they need on hand. Instead, they leverage their assets to buy second homes for themselves or starter homes for their children, who may not have the credit scores or down payment needed to qualify for a loan. A growing number of homebuyers are bringing an unusual tactic to the negotiating table: an all-cash offer. Cash purchases traditionally make up about a quarter of home sales, but they’ve soared to about 40 percent nationwide, according to the research firm CoreLogic. Tatyana Baytler, a real estate agent at Lagert Real Estate in Rockville, Md., said foreign buyers tend to offer cash in part because they’re wealthy, but also because they have not lived in the country and built the credit history needed to secure a mortgage. John Denninger, a business owner in New York, didn’t want to plunk down that kind of cash when he bought a vacation home not far from West Palm Beach, Fla. But he didn’t want a mortgage, either, now that he has paid off the loan on his primary residence. The potential yield from rents is what attracted investors to the housing sector once the market hit bottom in late 2011. In areas where home prices plunged, investors began snapping up foreclosures and other deeply discounted properties, betting they could rent them for a tidy profit. The buying frenzy helped clear the excess supply of homes on the market and boost prices. It also frustrated first-time buyers who could not compete because their offers included financing contingencies, appraisals and inspections. That still happens, said Richard Bridges, a real estate agent at ERA Blue Diamond Realty in Woodbridge, Va. Two weeks ago, Mr. Bridges listed a condominium in Woodbridge for a client. Four offers immediately rolled in, all at or above the $160,000 asking price. One was from an investor. “My client took the cash offer, even though it was lower than the others, to ensure it would close quickly and without problems,” Mr. Bridges said. Blackstone Group, which has invested $8.6 billion to buy 45,000 homes in the past two years, scaled back its purchases by about 70 percent since last summer, the company said in a statement. It now buys $30 million to $40 million worth of homes a week. Ms. Pearce, a retiree, already owns a more spacious condo nearby that she’s selling. She said she’s borrowing against her stock holdings to finance the purchase of the new condo, and she will pay off the loan with the proceeds of the sale from the old unit.